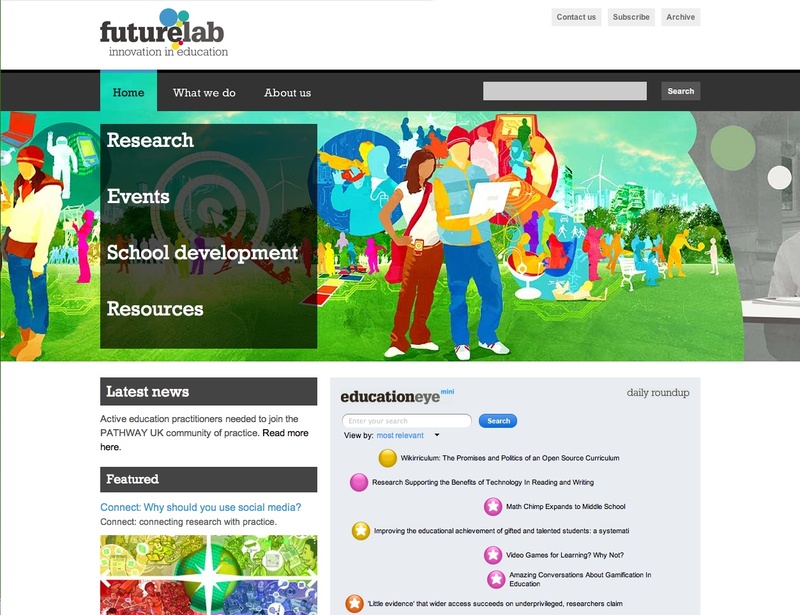 FutureLab is a not-for-profit organization based in Bristol, UK. Working in partnership with government and industry groups, they have created a wide range of resources for people interested in bringing new technologies to the classroom.The overall material is derived from a pool of partners focused on innovation in learning, mostly related to the UK landscape, with projects covering such topics as digital divided, classroom resources, teacher skills and other content, always trying to get the best from ICT-based technologies to foster the learning process. Faithful to its main mission, its website has a fresh, fun and comprehensive outlook: extremely easy to navigate, user-oriented, plenty of visual aids. Very important (and innovative) is its embrace of the Web 2.0 approach, providing many tools — open comments, “tag clouds”, a blog, article submissions, etc. — aimed at promoting users’ direct involvement. The site is always up-to-date, particularly about new projects and upcoming events, also related to external organizations. The entire content is completely open and free to the public, with FutureLab’s bi-annual magazine freely available as pdf files (and as hard copies as well) and many other paper available as on-screen text format. Among its many areas, the “Showcase” and “Research” sections address also the role of technology in preschools. in your case? I wouldn’t mind creating a post or elaborating on a lot of the subjects you write in relation to here.